Sign up for e-mail notices from 1000 Plus, LLC. Simply click the 'Stay in Touch' button and fill out the form. We respect your privacy and will use your e-mail address only as it is intended. We will not sell or trade it in any way. For Upcoming Events & New Information. If you are interested in membership, send us a message. 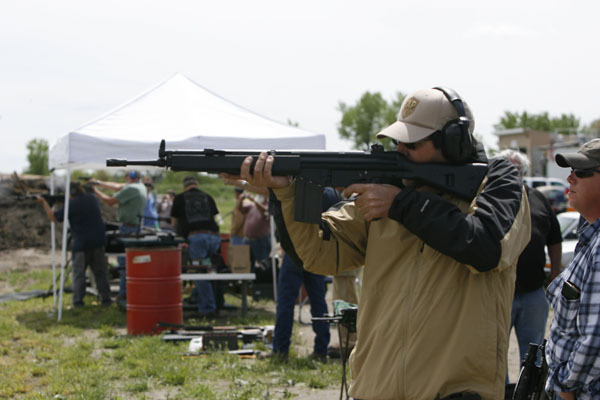 Our members seek enjoyment of all target shooting disciplines through proper education and training. We support our youth, law enforcement and military personnel while always mindful of how safety and enjoyment go together. Watch out! There are wild things on the range now! We have a Kodiak Grizzly Bear, a Bison, Mule Deer, coyotes and other assorted metal targets in store for you at 1000 Plus, LLC. Here is our 800# Kodiak Grizzly Bear which is 6 ft high and 10 ft long! 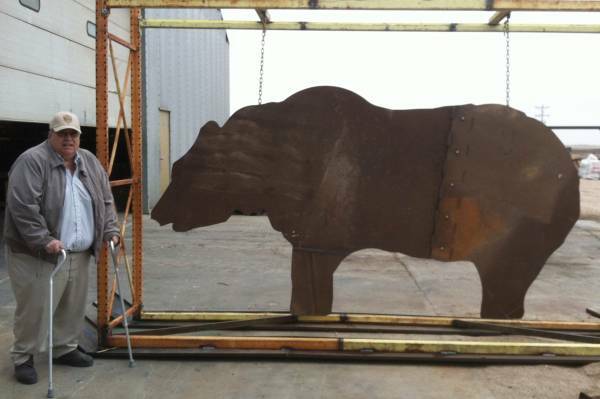 Founding member Jim Lundgren stands near the Grizzly which is fabricated of military armour steel plate, by Eilers Machine of Lexington.